Real Madrid superstar winger Gareth Bale might be eyeing a return to the Premier League, Daily Mail are reporting. The report stems from an interview with the Welsh wizard himself, wherein Bale discusses his incredible contribution during the victorious Champions League final against Liverpool a few months ago. The ex-Tottenham Hotspur man also talks about life under new boss Julen Lopetegui, and the chances of him departing from the Spanish capital. When specifically asked about whether there was a possibility of him returning to English football, Bale replied in diplomatic fashion, leaving the door open for a possible return. Bale is one of the players that was targeted by Manchester United manager Jose Mourinho in the summer transfer window, after it became apparent that the Welshman wasn’t going to be a regular starter under former boss Zinedine Zidane. 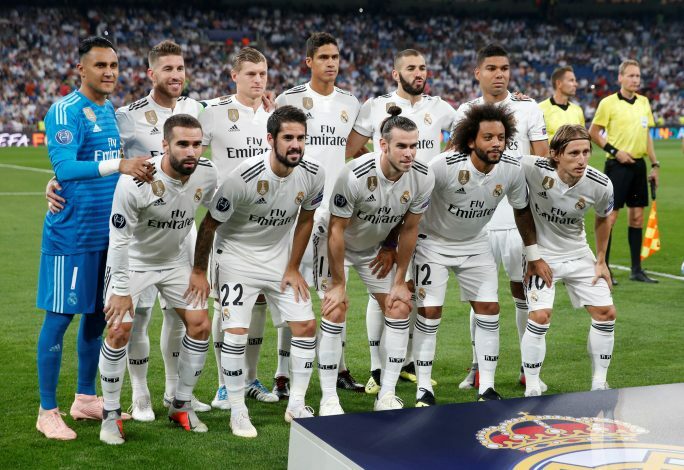 But a shocking twist in the tale arrived when Zidane parted ways with Los Blancos and was replaced by former Spain boss Julen Lopetegui, who clearly rates the 29-year-old very highly. Though his playing time does appear to have increased since the change at the helm, there is still an obvious possibility of a switch back to the Premier League, where Bale enjoyed success with Spurs. Teams such as Manchester United, Chelsea, and Arsenal would be all chomping at the bit to get their hands on the pacey winger if he does become available in January or even next summer.